– Lima is the capital city of Peru. This buzzing urban centre is usually the point of entry to the country and a first stop for tourists. Affectionately known as “The City of Kings”, this former Spanish strong-hold boasts a legacy reaching back over four hundred and eighty years. A tour of the city’s religious sites is a popular outing amongst tourists as is a visit to the medieval walls and the historic centre which has been declared a UNESCO world heritage site. Here you will find interesting old structures including the Presidential Palace, the Cathedral and the catacombs of the Convento de San Francisco. The city also boasts some interesting museums including the Museo Nacional de Antropologica y Arqueologica and the Museo de Oro. Lima also plays host to the “Lord of Miracles” festival in October, which is the most important religious event in the whole of Peru. Lima is also situated on the coast and therefore has many beautiful beaches worth frequenting. 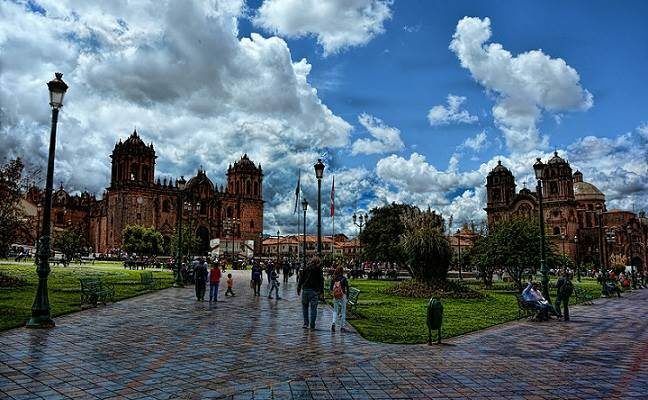 – Cuzco is hailed as South America’s oldest continuously inhabited city and is the archaeological capital of all the Americas. Home to an extensive selection of Inca structures including the stone walls that line many of its streets, it is of great historical significance. There are more recent buildings of note also, including the impressive La Merced Monastery and Qoricancha, the latter a splendid 16th century Dominican convent featuring an onsite museum. For more museums, don’t miss out on the Contemporary Art Museum, the Regional History Museum and the Museum of Popular Art. Close to Cuzco and well worth observing are the Inca ruins of Coricancha, Sacsayhuamán, Qenko, Puca Pucara and Tambo Machay. 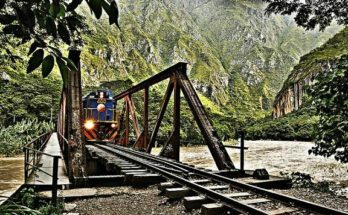 – Machu Picchu and the Inca Trail: There are three different routes that take tourists down original Inca paths to the famed site of Machu Picchu. These hiking trails are highly revered by tourists to Peru due to their natural beauty as well as their historical significance. Concerns regarding overuse have led to limited spots being available each season and therefore booking ahead of time is essential. The most famous is the four-day “Classic Trail” which starts either at Cuzco or within the Urubamba Valley. Depending on the start point, this trail measures either 82 or 88km. The Classic trail and the Mollepata trail both take you to high altitudes and therefore require acclimatisation (and can result in altitude sickness). 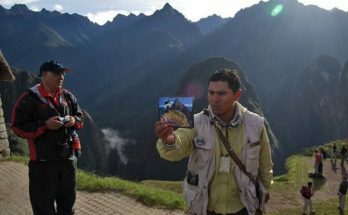 Sites passed en route include Patallacta, Dead Woman’s Pass, Pacaymayu, the Incan tambo of Runkuraqay, Sayaqmarka, Conchamarka, Chaquicocha, Phuyupatmarka, Aguas Calientes, Intipata and Winay Wayna. After hiking through cloud forests, alpine tundra’s and other varying Andean terrains, the grand prize is the arrival at Macchu Picchu. Often referred to as “The Lost City of the Incas”, this UNESCO World Heritage site is Peru’s greatest tourist attraction. It is an example of classic Incan architecture with polished dry-stone walls and over one hundred flights of steps. Some of these stone steps are entirely carved from a single block of granite. The city comprises one hundred and forty different structures. There are residences, sanctuaries, temples and parks. Archaeologists believe that the city was divided into three separate districts namely the “Sacred district”, the “Popular district” and the district dedicated to Priests and Nobility. The main treasures are the “Temple of the Sun”, “The room of the three windows” and the “Intihuatana”. These are all located within the “Sacred district”. – Loreto (and Amazon Rainforest): The northernmost province of Peru is Loreto. The capital city Iquitos is a launch pad to the region and also an attraction in itself. A boat tour of one of its areas Belén is a popular activity. Travelling within the city can be done via motorcycle or bus but most tourists prefer the novelty of an auto rickshaw. When visiting the area one should also take care not to miss the open air market in Belén where an abundance of local medicines, plants and roots that are sold. This area is entirely covered by Amazon Rainforest and is home to the largest protected area in Peru, the Pacaya–Samiria National Reserve. Tours through this region reveal the wonders of the Amazon forest as does the ever popular boat tour down river to Manaus in Brazil. Loreto also sees many festivals take place throughout the year. – Piura is the name for the region, province and city in north western Peru. It is situated on the coast and therefore offers lovely long beach fronts with warm waters. The most popular for vacationers is La Esmeralda beach which is also known as Colan due to its proximity to the town of Colan. This area is also well loved by surfers who frequent the beaches of Mancora and Cabo Blanco. Mancora Beach not only provides great surfing waves but also has a beautiful cove for exploring and a sheltered beach that is great for children. Cabo Blanco on the other hand is also revered for its fishing and tourists are often found launching off from here to catch marlin and swordfish. – Ancash is a region in northern Peru that draws a great many visitors due to its varying terrains and consequently the wealth of outdoor activities that it presents. The Huascarán National Park is one of the most captivating and rewarding destinations. This area offers a mass of peaks, waterfalls, canyons and lakes. Other notable areas within Ancash are the Callejón de Huaylas, the White Mountain range, the Santa River, the Duck Canyon and the Black Mountain Range. Outdoor enthusiasts have noted that the Ancash area is one of the best on the world for mountaineering, hiking and rock climbing. Other activities that the region offers are cycling, alpine skiing, paragliding, hang gliding, horse riding, fishing, and canoeing. In addition there are a number of archeological sites of interest in Ancash. – Ica is the capital city of the Ica region. It is located in the southern part of Peru and characterized by a desert-like environment with valleys, sand dunes and a scorching sun. It is here where you will find the Paracas National Reserve which runs along the coastline. A trip will reveal overwhelming beautiful rock formations as well as sightings of seals, penguins, dolphins, whales, flamingos and a wide variety of birds. No trip to Ica would be complete without stopping in at one of the vineyards. Both wine and Piscos brandy are produced in this region and can be tasted and bought by taking a day to explore one of the routes. Lastly, do stop in at the Museo Regional de Ica. This museum contains many important artifacts including Pre-Columbian mummies that reveal evidence of trepanning (basically, the boring of holes in people’s heads!). 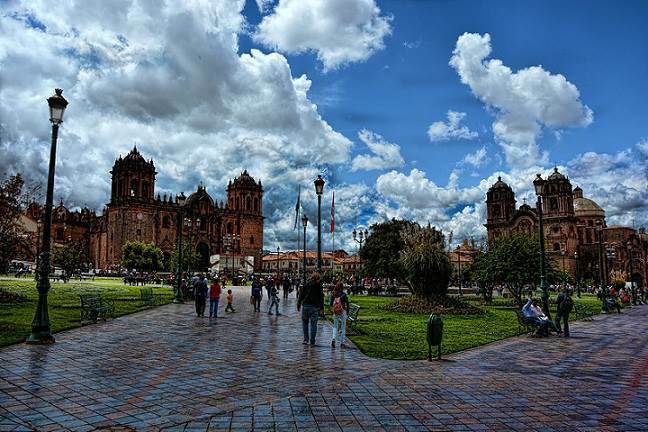 – Jauja is a small, charming and hospitable city in central Peru. The most likely reason for visiting the area will be to stay at one of the lodges or hotels on the scenic Paca lake. Here one will enjoy superb local cuisine and a heightened level of peace and quiet while viewing an extensive variety of aquatic birds. Jauja was the centre of the Huanca people. Evidence of their presence can be seen at the Tunanmarca Archaeological Complex. The ruins feature circular constructions from stone and fairly complex hydraulic systems. Jauja also features two notable churches. The Jauja Chapel was the first to be built in both Peru and South America. The Capillo Cristo Pablo Church is a fine example of gothic architecture built in 1920 and boasts pristine white interiors adorned with statuettes of the saints. – Pucallpa is a progressive city located within the Amazon Rainforest. 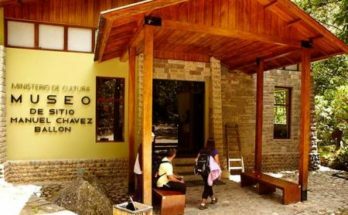 One of its great attractions is the many up market lodges located on the shores of nearby Lake Yarinacocha. Here tourists can relax in style in the sub-tropical climate and take part in a variety of water sports. The city is home to many highly skilled artisans who peddle their wares on the streets and in formal markets. It is also nearby to numerous beautiful waterfalls including “Bride’s veil” and “Devil’s shower”. – Other Highlights: The town of Lambayeque is where one will find the museum “Tumbas Reales de Sipán”. This location houses the tombs of Sipán who was one of the greatest warlords in the fourth century AD. A Llama pack trek is also a different way of exploring various regions of the country and allows one the ability to experience the Inca traditions and the environment first hand. The Amazon Basin is split between Iquitos and Puerto Maldonado which has three conservation areas of Puerto Maldonado namely – the Bahuaja-Sonene national park, Tambopata-Candamo Reserve and the Manu Biosphere Reserve. Alternatively you can travel to Ayacucho, Huancavelica, Huancayo or Tarma which forms the Central Highlands. Lake Titicaca is another must-see spot. It lies on the border of Peru and Bolivia and stands 3,812 m above sea level. Flying over the mysterious Nazca Lines in an airplane is also an unforgettable experience you can enjoy in Peru.